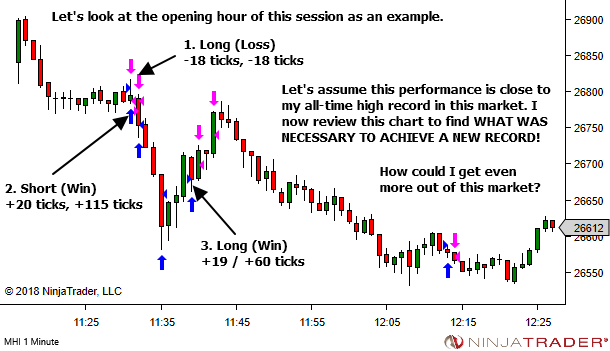 Here's a little post-session exercise which may help stretch your performance to "never-before-reached" profit levels. 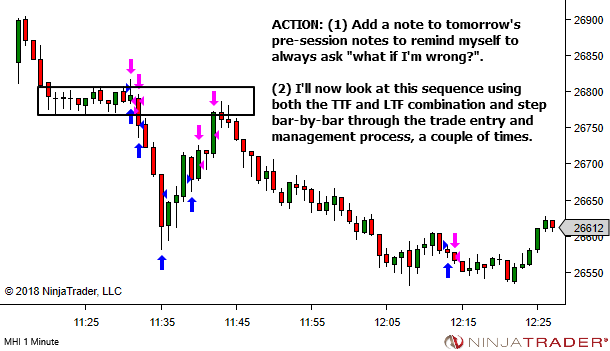 Pick a target just above your all-time-high for a trading session. Whatever that is – $100, $500, $1000, $5000 or more. And ask yourself the following. Looking at the chart for today's session, with the benefit of hindsight, how could I have achieved an all-time high in profits? It's not about beating yourself up for having failed to reach new highs. Most days you won't reach them. But it's about pushing yourself. Never settling for mediocrity. Always stretching to achieve more. Look at the chart. 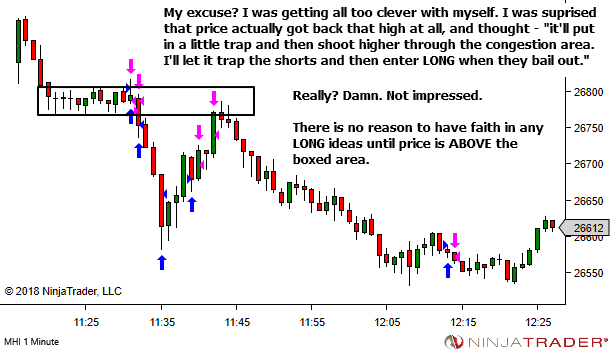 Look at your trades. Were there were price sequences which you failed to see? Is there some way you could you have captured them? 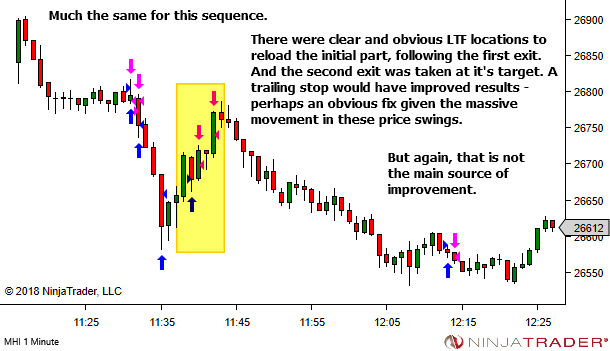 Were there price sequences in which you underperformed? Could you have taken more out of the move? Could you have increased size somehow? Could you have re-entered if stopped out? 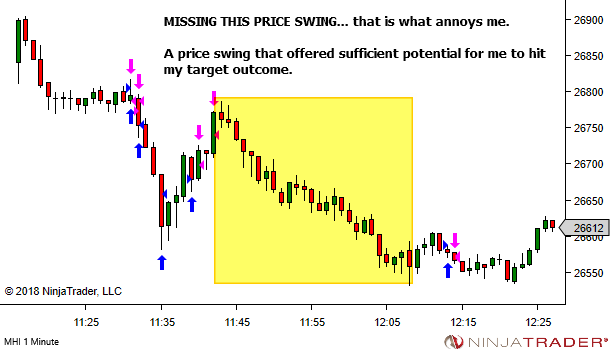 Could you have extended the targets or trailed price differently? If you somehow did manage to squeeze all the profits out of your strategy that day, then ask if there were other ways could you have viewed price and profited? 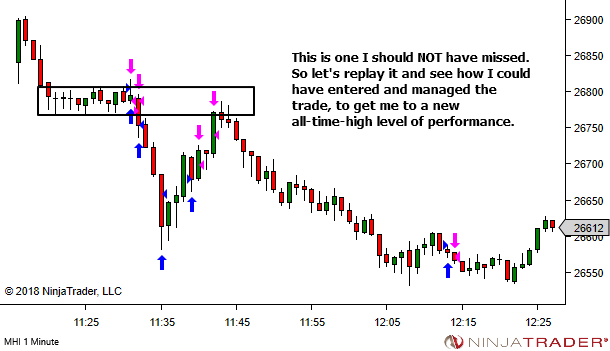 Operate from an assumption that there WAS some way to have achieved new all-time highs today. NOW FIND IT. And just maybe… next time… you'll take the lessons learnt and actually push through to achieve these new levels of performance. Consider your outcome. And compare it with your all-time high. Review the charts and find ways you could have stretched yourself to never-before achieved levels of performance. Perhaps next time, this exercise might just help you reach the new target. I love seeing your series of trades. In this post and others. They teach me alot. 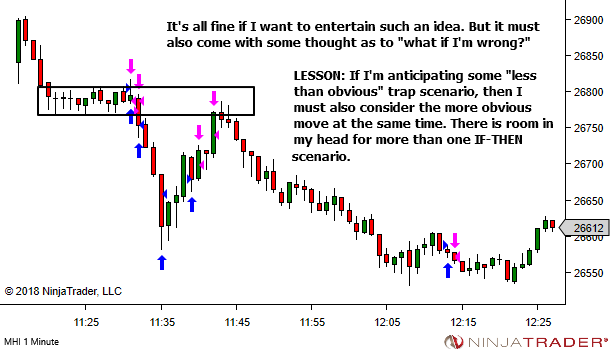 I guess I am at a stage of thinking I’m “wrong” when I get sucked into a counter trend trap, as in the first trade. 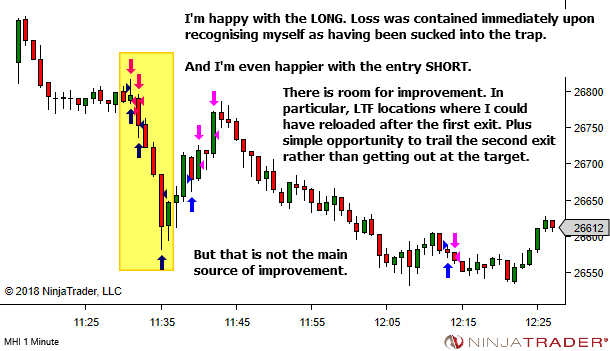 My mindset would be focussed on “aaargh I did it again” instead of focussing on what price action is currently doing and flipping my bias. 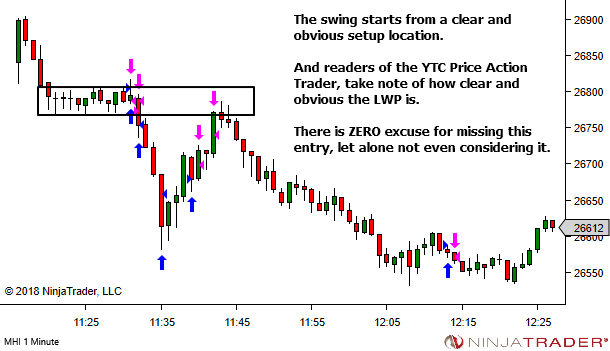 By seeing your series of trades it confirms to me that I’m not “doing it wrong” I just need to improve my skill at working in an uncertain environment. Thanks Steve. Yes, you’re NOT doing it wrong. You just need a shift in mindset. Try this article again (an important concept I think I might write on again).